In preparation for this seminar I’ve been reflecting on my own experience of this movement and some of the cultural streams associated with it. Here are a number of reasons why I think this movement has been successful and has grown from a local to a national movement. Many of them hinge on significant cultural movements beginning to change the shape of material and popular culture around 2000 when Indelible Grace was beginning. This movement road an upsurge in the popularity of folk music in the main steam media consciousness. Building on the renewed popularity of folk music brought to contemporary culture by the Brother, Where Art Thou (2000) Soundtrack (Listen to this 10th anniv interview with T Bone Burnett) and the immense collection of hymns texts in its backpocket Indelible Grace found a rich milieu in which to wed the old with the new in a musical synthesis that filled a pressing need for grassroots sacred song. Observation: Sufjan Stevens and the rise in interest in Shape Note Singing have been two other movements that I have associated with the emergence of folk. The Boomer generation invented and fueled the Contemporary Worship Movement, CCM, and the Mega Church Movement. These were often concerned with slick production, positive thinking, and (over)simplicity in message. Generation X’rs wanted authenticity, deeper theology, more intimate worship settings. Old hymn texts and folkier music was a perfect fit for the mood of this generation. Further Question: How does Passion Music fit into this discussion? Prior to this movement there was largely only two places to go for choices in church music – traditional hymnals or the Contemporary Worship Movement (CWM) publishing behemoth. (actually…both are publishing giants) The dichotomy these two groups facilitated and catered to created a stranglehold on churches that fueled the worship wars of the 80s and 90s. Both groups through either the old mainline denominations or the new church growth movement kept up their publishing and presence through numerous conferences and magazines. Pitting Organ and Choirs versus Mega Sound Systems and Praise Bands. In neither of these places could you find the plaintive voice of folk – The old home of community song. The time had come for folk music (and the tenets of folk) to make a major resurgence. Indelible Grace arrived on the scene just as the innovations of the internet, file sharing, and the home studio were beginning to change the face of the music industry. Between 1999-2001 Napster obliterated the way our generation thought about music ownership. Through the inspiration of Indelible Grace, songwriters in colleges and churches all over the US began to write their own re:tuned hymns and could easily share them over the internet without having to utilize the expensive means of the big recording studio. Cdbaby (founded in 2000) now made it easy to produce and distribute a CD. As a new generation of songwriters began to explore this new form it was now easy to trade songs. This grassroots movement spread from college ministry to college ministry and church plant to church plant. 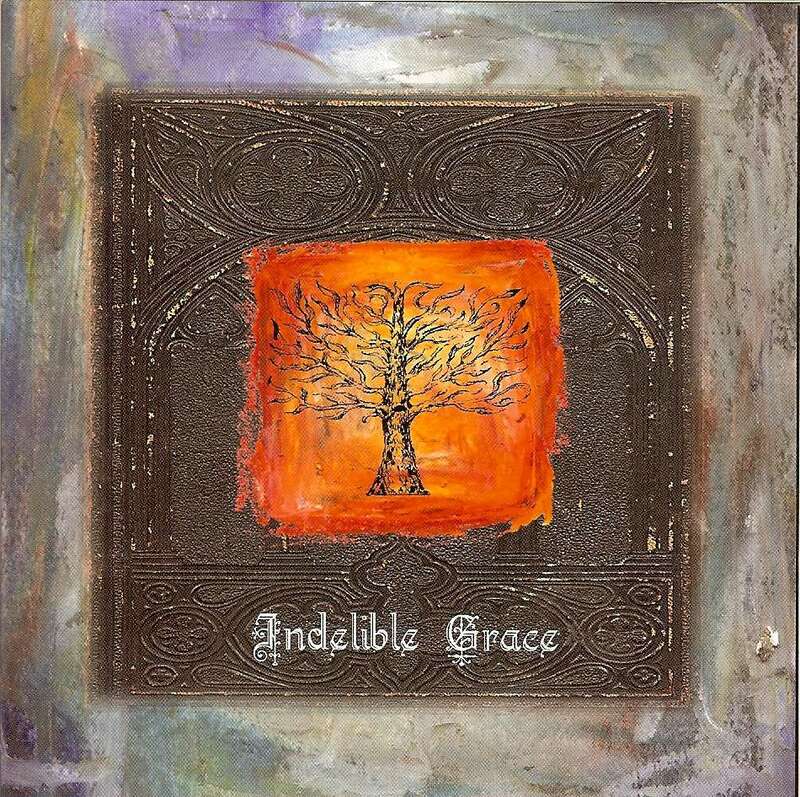 Indelible Grace, staying true to their grassroots even collated many of their own songs and made them available for free on a digital hymnal site. Note: To date their have been over a 1,000 new songs released on CD’s in this movement…not counting scores more that exist on websites and blogs alone. Good thoughts Bruce. I like to think through the categories of Hunter’s “To Change The World” too. We made a CD, we didn’t just talk about the idea. We had institutional support, Christ Community, RUF, the PCA, but were not the mainstream. And there was a network of like-minded folks who supported us like Jars of Clay, Derek Webb, Grassroots Music. It helped to be in Nashville too for sure and my background as a recording engineer and CCM participant. I also used David Brooks’ Bobos In Paradise a lot in in the early days to explain the cultural shift and think O Brother was connected to that too. Trivia fact: They recorded O Brother soundtrack at Sound Emporium where we tracked For All The Saints and Beams of Heaven CDs. Kevin, I’m working on one or two more posts and hope to outline some of this stuff as well. Really looking forward to hearing how Jamie Smith frames our conversation. Good article, Bruce. And very astute on the O Brother connection. I’m looking forward to your followup posts. I graduated high school in 2000 but I got exposed to the movement in 2002 at Campus Outreach gatherings. I chuckled through the whole article because I found myself thinking “Yep…yep…yep.” You nailed a lot of the same observations that I have talked about with friends when the topic of modern hymns comes up. I would say that this hymn movement helped solidify me as a “reformed” Christian. Lines from hymns that came from this place are frequent rally cries to my heart to remember the character of God. Salient. Important. Thanks for taking the time to process and distill for the rest of us.